On Friday, September 16th, 2017, Mexico celebrated a hundred and ninety-six years of independence from the Spanish rule. The country was full of joy and Mexicans around the world gathered to cheer for their freedom. Three days later, Tuesday September 19th, the joy turned into horror when a 7.1 earthquake hit the central zone of Mexico, leaving a toll of “more than 310 deadly victims and dozens of collapsed buildings” (CNN). 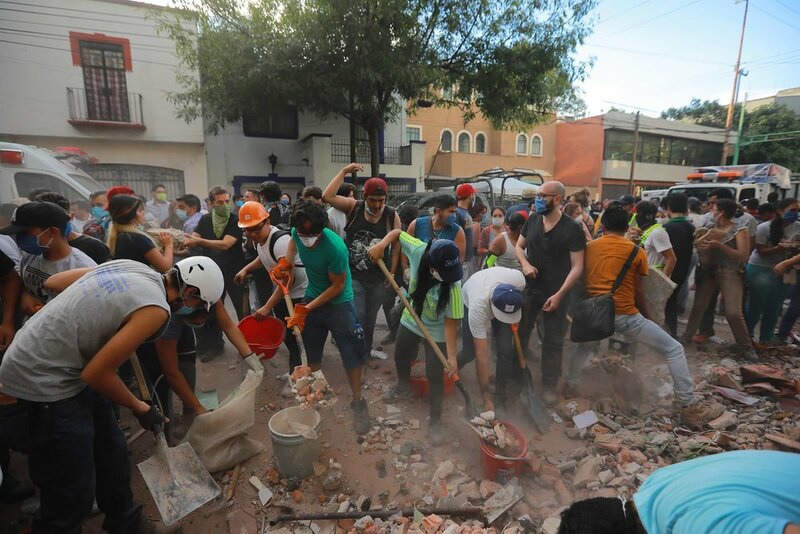 According to the New York Times, the Mexican government estimates that there are still around sixty to seventy people trapped in the rubbles of the fallen structures. Yet, the nightmare did not end there for Mexico: a 5.7 earthquake was registered in the already affected zones this past Saturday, September 23rd. People in Mexico City, Oaxaca, Morelos, Puebla and Guerrero are living under a constant state of anxiety for the fear of another earthquake. In the midst of this horror, Mexico shows its resilience and solidarity of both the community and the civic organizations. To quote Televisa, neighboring countries and others around the world such as Spain, El Salvador, Israel, Japan, Germany, Panama, Costa Rica, Peru, Ecuador, Colombia and the United States have been displaying their support by sending volunteers, rescuers, medicines and various kinds of provisions to Mexico. Majo Orozco ‘20, a Bennington student from Mexico has shared with us some ways in which Bennington College students and the community at large can offer help: “Topos is a professional non-profit Mexican rescue team. More than ever they need our support. Referencia: Brigada de Rescate Topos Tlaltelolco, A.C.